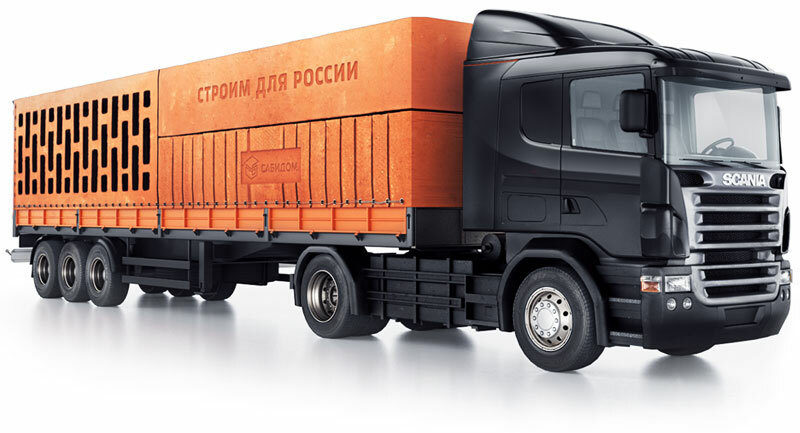 Task: to develop unusual decals for trailer trucks carrying construction materials. Sabidom builds and sells townhouses. 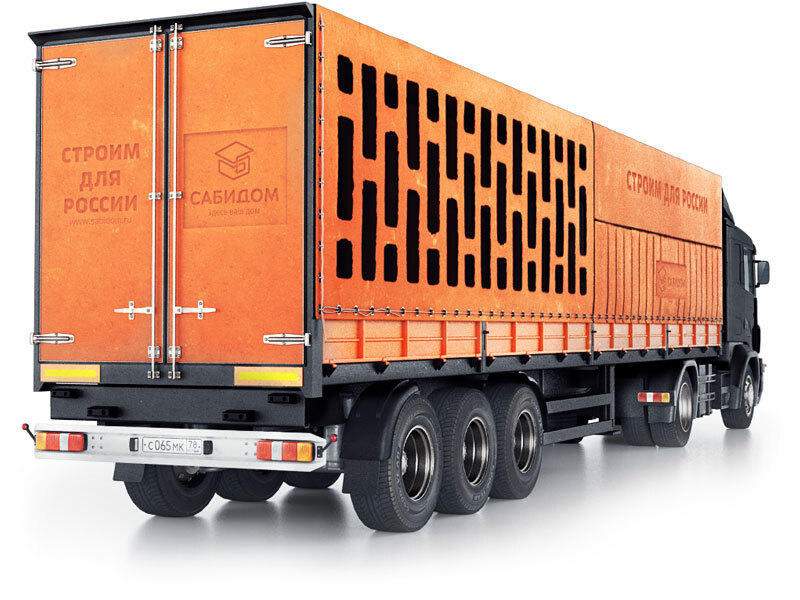 In order to turn Sabidom’s truck fleet into an additional advertising medium targeted at road users, themed truck liveries was created at the studio.